We specialize in the manufacture and distribution of a large range of copper alloys which incorporate continuous cast and machined parts, centrifugal castings, wrought copper alloys, bars, sheets and plates, bronze wear plates and finished machined parts.we have five engineers and twelve technicians and quality control staffs. 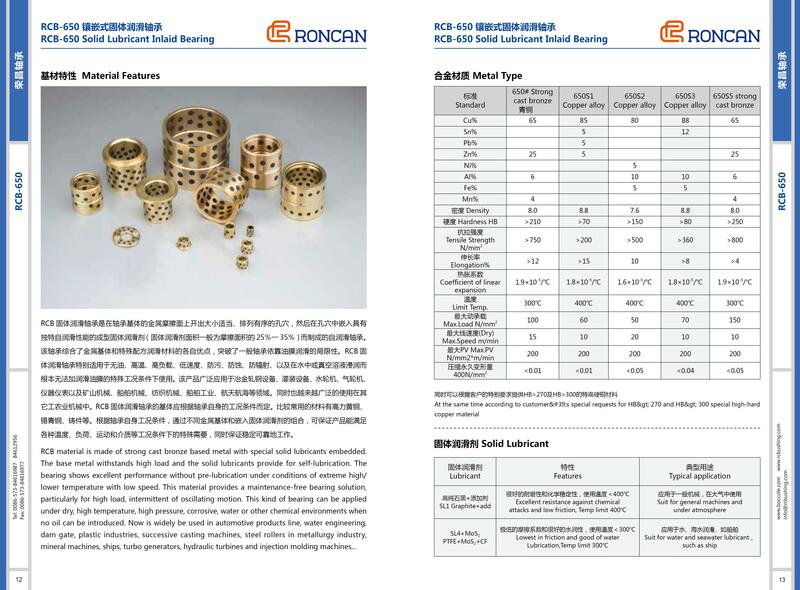 We have strong ability of products design and manufacture, and specialize in large size copper alloy centrifugal casting, bronze bushings with graphite, wear plates and flanged bushings for industries such as Gears, Valve Stems,Power & Energy, Transmission Bearings, Power & Energy, General Engineering and Marine. And so on. 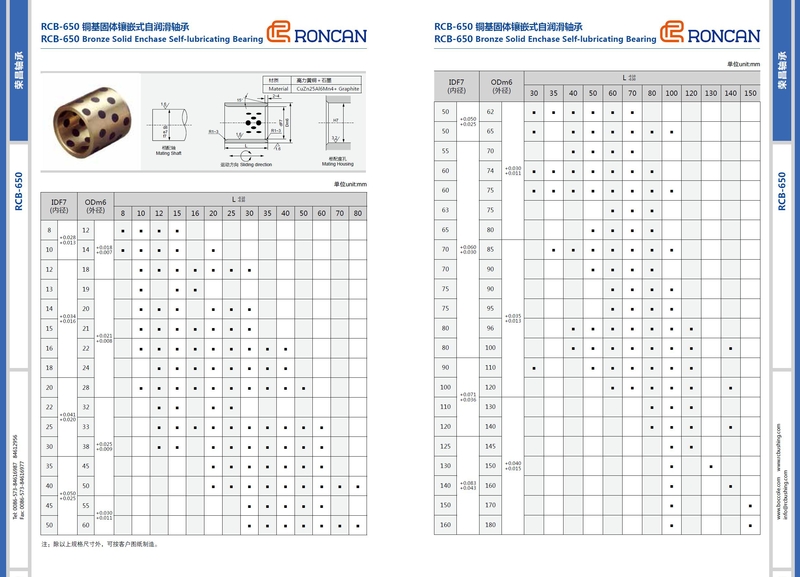 Roncan products meet ASTM, SAE, QQC, ASME, AMS, and other standards. 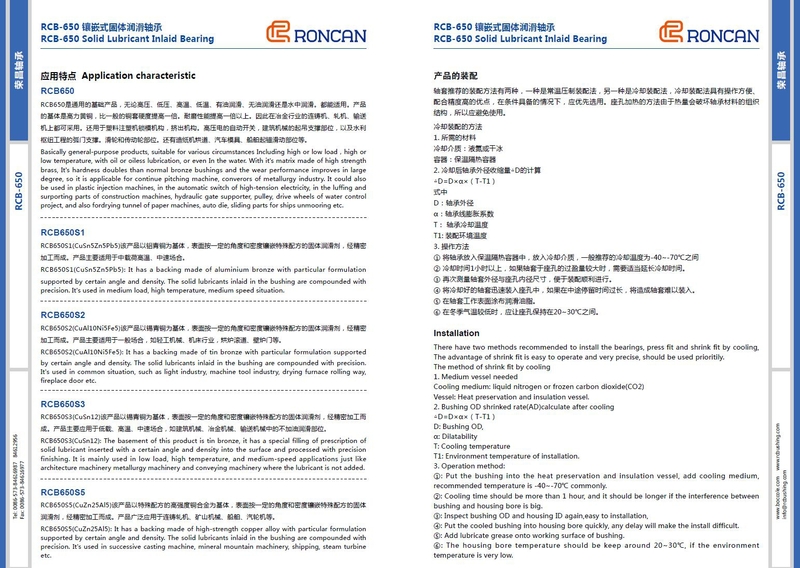 Tin Bronzes - i.e., C90300, C90500, C90700 Leaded Tin Bronzes - i.e., C83600, C92200, C92900, C93200, C93700 Manganese Bronzes - i.e., C86200, C86300, C86500 Aluminum Bronzes - i.e., C95200, C95400, C95500 Naval brass: C48200, C48500 No minimum price. Any weight. Any quantity. Any length. Cutting charges are included in the price. Our success equation is simple. Large inventory + Quick response = Happy customer.